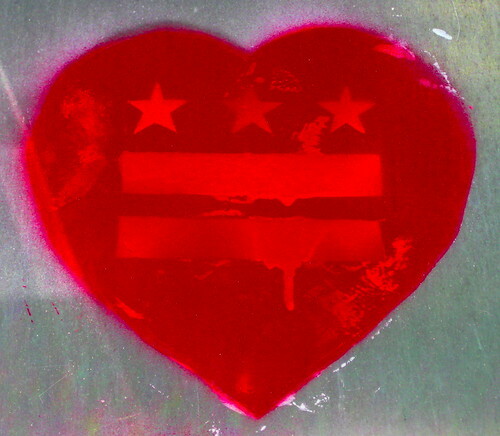 When we started We Love DC last year, we knew that loving DC wasn’t something new, but we felt that it needed a new voice. In the last year, we’ve come to love our city even more, and we hope that we’ve made you love it a bit more, too. We’ll be celebrating our first year of existence with a party over at Science Club on 19th Street on July 1st, 2009 from 7pm until they kick us all out on the street for loving our city too much. Don’s awesome photobooth will be there, and the great bar staff at Science Club will be pouring tasty libations all evening long. We’d like our celebration to also help make the city we love a better place, so we’ll be asking for a voluntary donation of $5 at the door to benefit Bread for the City, which provides comprehensive services to tens of thousands of low-income DC residents. Donations are tax-deductible and besides – we’re going to have drink specials to save you a few bucks once you get in the door, so consider a contribution to those less fortunate. Bread for the City staff will also be in attendance, if you’d like to learn more about their services and ways you can help. I may have to come just to see what you and Tiffany look like in person; in my mind you’re both 75 pixels by 75 pixels, so wear name tags. I actually am about 75 pixels by 75 pixels in person. I just wanted to comment that I have never lived in DC(have only visited a few times), but I have really enjoyed learning new things about it by reading your various blog articles. It is fun to see DC vicariously through the eyes of your contributing writers. CONGRATULATIONS! on your first year in production and I look forward to reading more about why DC is loved so much! I am moving to DC in August, so your blog feed has quickly become a daily read. Thanks to you, I am well prepared to love DC too!